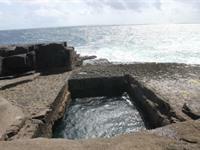 A natural rock formation and site of the 4th stop in the 2012 Red Bull cliff diving world series on August 4th. 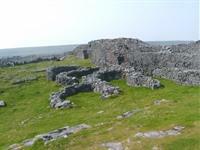 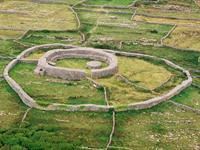 Dún Dúchathair or simply Dúchathair, meaning "black stone ringfort", is a large stone fort on Inishmore in County Galway, Ireland. 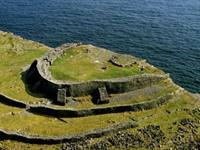 Due to erosion, it now sits on a rocky promontory that stretches out into the sea.